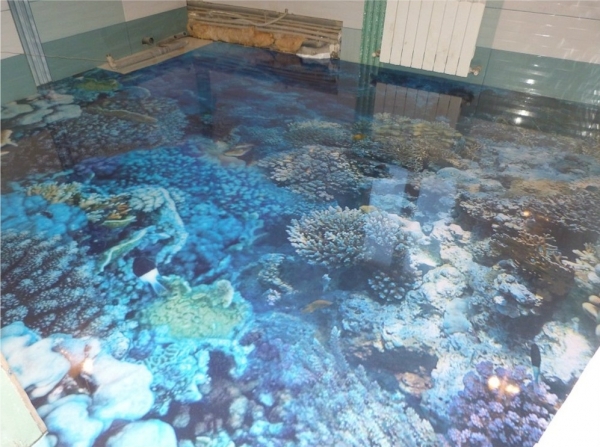 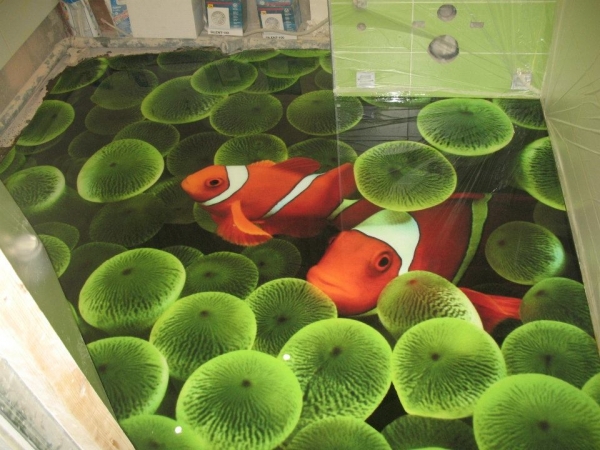 Among the luxury interior design offerings of Dubai-based design firm Imperial Interiors is “3D Liquid Flooring,” a technique that allows the company to install permanent color images on floors. 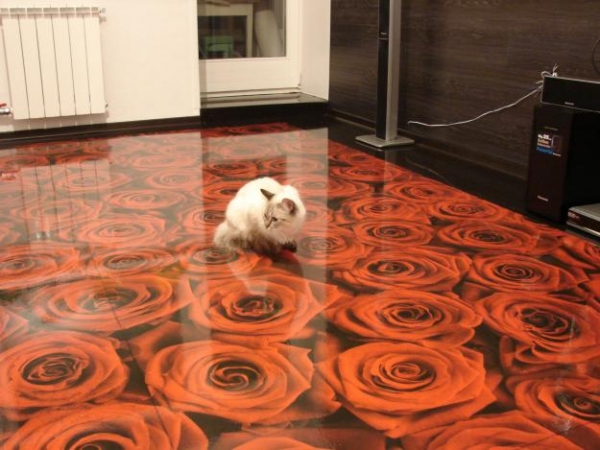 The images–printed with a special photo printer–are covered in protective epoxy and lacquer. 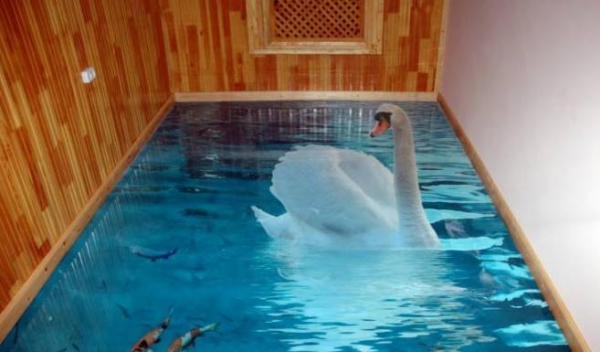 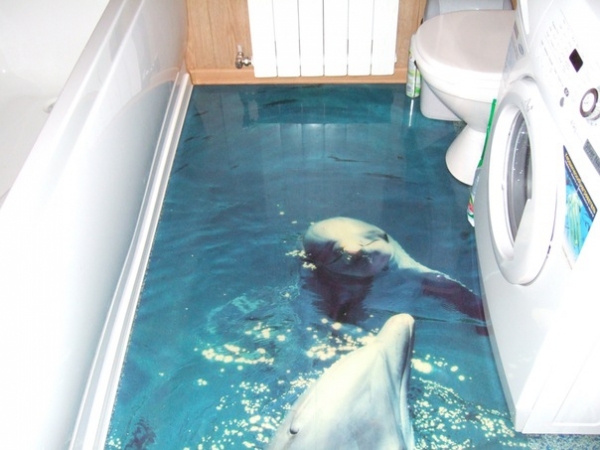 The technique is particularly well suited to creating photorealistic 3D illusions–because who wouldn’t want a pair of life-size dolphins leaping out of their bathroom floor?